World endurance champion Ryan Dalziel had even more reasons to celebrate 2012 after the Scottish Motor Racing Club honoured his achievements at their annual dinner and awards. Proud Scot Ryan - who lives in Windermere, Florida – was given a standing ovation by more than 400 SMRC racers and guests as he was led into the room by a piper along with Indy500 winner Dario Franchitti at the Sheraton Hotel in Edinburgh on Saturday night. Ryan, originally from Lanarkshire, Scotland, was already celebrating his LMP2 title win in the FIA World Endurance Championship with Starworks Motorsport, and his career-best runner-up in the Grand-Am Rolex Sports Car Series. World Endurance LMP 2 champion and former Rolex 24 winner Ryan Dalziel has made it a magical Christmas for young Scottish kart star Ciaran Haggerty – by giving him an all-expenses trip to Daytona. The flying Scotsman announced the trip at the West of Scotland Kart Club annual awards in Bellshill, Lanarkshire, on Friday – and Ciaran was picked for the £5,000 prize. Ryan – who lives in Windermere, Florida, but is originally from Lanarkshire - He has arranged for flights, rental car, hotel and race tickets for the Grand-Am Rolex 24 at Daytona International Speedway. Sixteen-year-old Ciaran and his dad Joe, from Johnstone in Renfrewshire, will also stay in the same hotel as the Starworks Motorsport team and get exclusive access to the crew and pitlane during the race weekend. 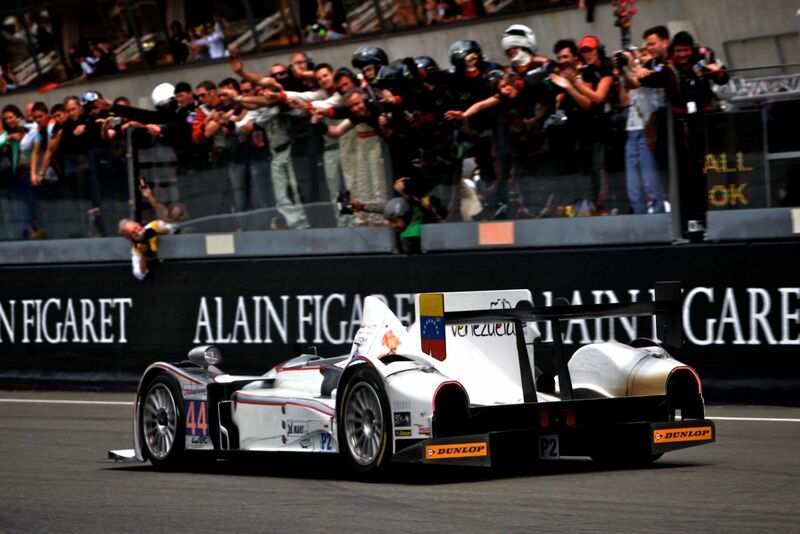 The prize marks the end of a stunning season for Ryan and Ciaran. While Ryan and Starworks Motorsport won the FIA World Endurance Championship LMP2, tasted victory in the Le Mans 24 Hours and achieved a career-best second place in the Grand-Am Rolex Sports Car Series, Ciaran has been on the trophy trail in Britain. Ryan Dalziel is enjoying the best season of his career, but he insists it will only be complete when he has led Starworks Motorsport to the FIA World Endurance Championship LMP2 title. Scottish star Ryan – who lives in Windermere, Florida – can make that dream come true this weekend with victory in the Six Hours Of Japan at the Fuji Speedway. Endurance star Ryan Dalziel put the Star in Starworks with a stellar show at Silverstone to turn his homecoming race into a real party. 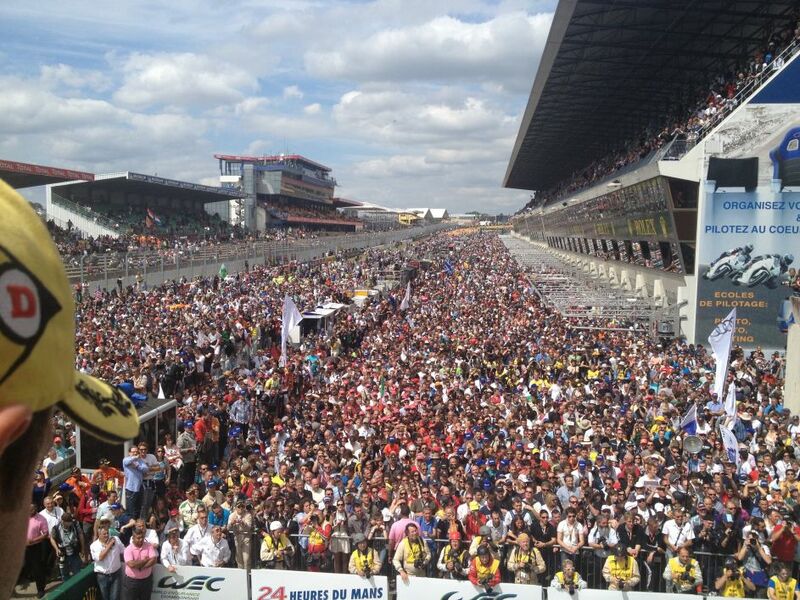 The Scot, who now lives in Windermere in Florida, was in top form as he helped Fort Lauderdale-based Starworks Motorsport tackle the Six Hours of Silverstone in the FIA World Endurance Championship. British sports car star Ryan Dalziel aims to make the most of a rare trip home by boosting his world championship credentials. Ryan – who moved from Lanarkshire in Scotland to forge a hugely successful career in the US – is back in Britain for the latest round of the FIA World Endurance Championship with Fort Lauderdale-based Starworks Motorsport. On-form Ryan Dalziel insisted he was up for Rolex Grand-Am Sports Car title fight after scorching to a sensational win at Watkins Glen in New York. Scotland’s Ryan, who now lives in Windermere in Florida, endured a rollercoaster of emotions after the controversy at Indianapolis two weeks ago. 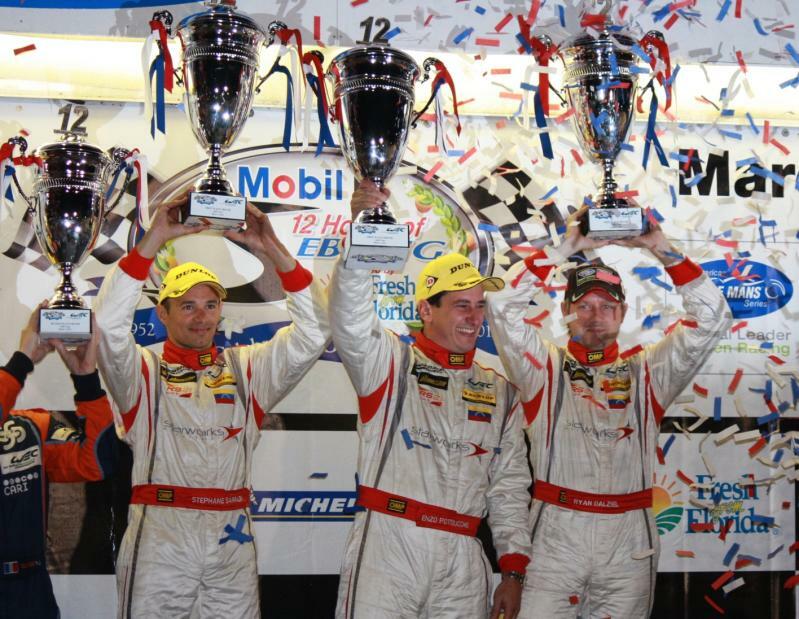 Le Mans 24-Hour winner Ryan Dalziel had little time to celebrate his sensational win in the epic 24-hour race in France because he was immediately back in the air to America to prepare for the Grand-Am Rolex Sports Car Series. The aim was simple – Ryan wanted to boost his title chances and complete a dream week. 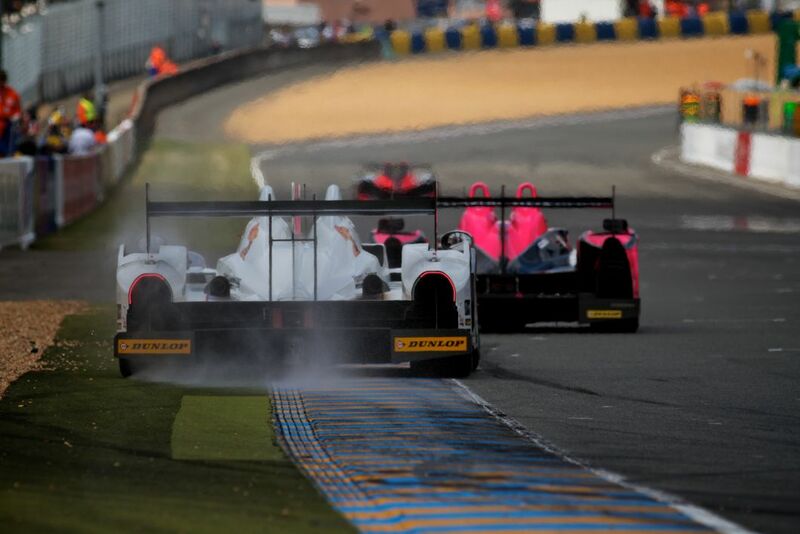 RYAN DALZIEL stormed to the biggest win of his career so far when he helped Starworks Motorsport to the LMP2 title in the world-famous Le Mans 24-Hours. 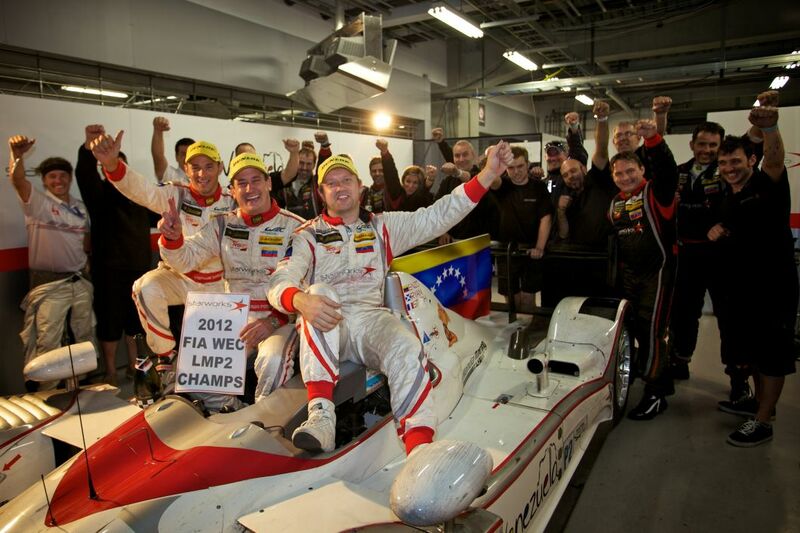 The victory – by more than a lap – was a sensational result on the Fort Lauderdale-based team’s debut in the event. Ryan, who lives in Windermere, Florida , had little time to celebrate as he flew back to the States for this weekend’s Grand-Am Rolex Sports Car Series race – the Rolex 250 drive byVisitflorida.com at Road America. Ryan, originally from Lanarkshire in Scotland, sits just two points off the lead in the championship and will be hoping to add another victory to his amazing Le Mans triumph. He took time out to look back on Le Mans and plan ahead for Road America. 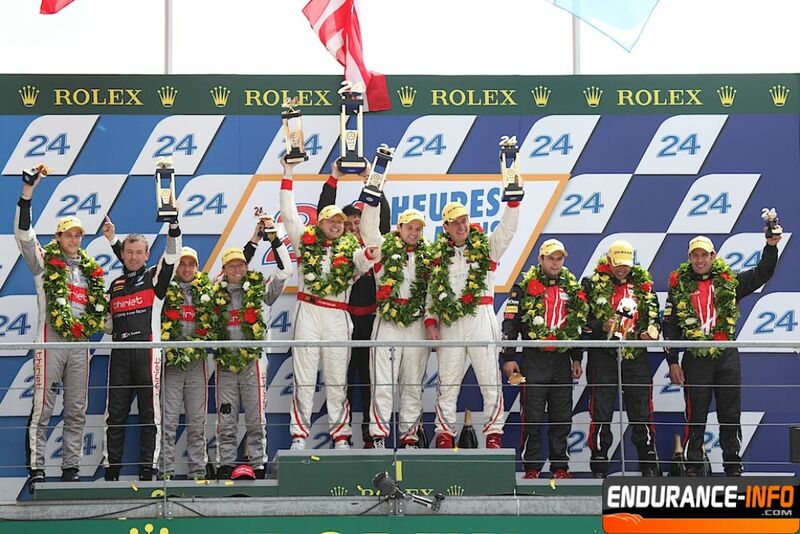 Endurance star Ryan Dalziel completed a stunning hat-trick with a stunning performance to take an LMP2 class victory in the prestigious Le Mans 24-Hour race. Ryan was in imperious form with a string of hot laps and treble stints to guide the Fort Lauderdale-based Starworks Motorsport HPD ARX03b car to the winners’ podium. 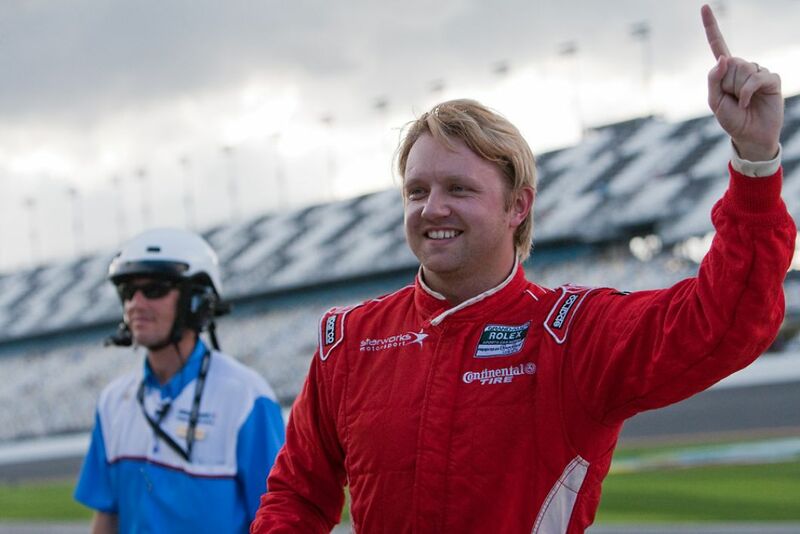 On-form Ryan Dalziel reckons it is game on for Starworks Motorsport in their push for the Grand-Am title. On-form Ryan Dalziel aims to make a point in Detroit this weekend – by staying top of the charts in the Grand-Am Rolex Sports Car Series. High-flying Ryan Dalziel added to his growing CV of top drives with a hard-fought second place in the Grand-Am Rolex Sports Car Series’ Global Barter 250 at New Jersey. Ryan, from Windermere in Florida, and Venezuelan team-mate Enzo Potolicchio perfected the Starworks Motorsport strategy to extract as many points from the event as possible. THE PLOT: On-form Ryan Dalziel is planning to soak up the sun in New Jersey this weekend after two weeks as the rain man on both sides of the Atlantic. Ryan, from Windermere in Florida, can’t wait to dry his gear out after getting soaked in the Grand-Am Rolex Sports Series Grand Prix of Miami then again in the FIA World Endurance Championship at Spa in Belgium. Grand-Am pace-setter Ryan Dalziel aims to put the Home in Homestead this weekend by serving up a Sunday sizzler for Starworks. Ryan, from Windermere in Florida, reckons the Rolex Sports Car Series front-runners can make the most of their edge in being on Fort Lauderdale-based Starworks’ home patch. 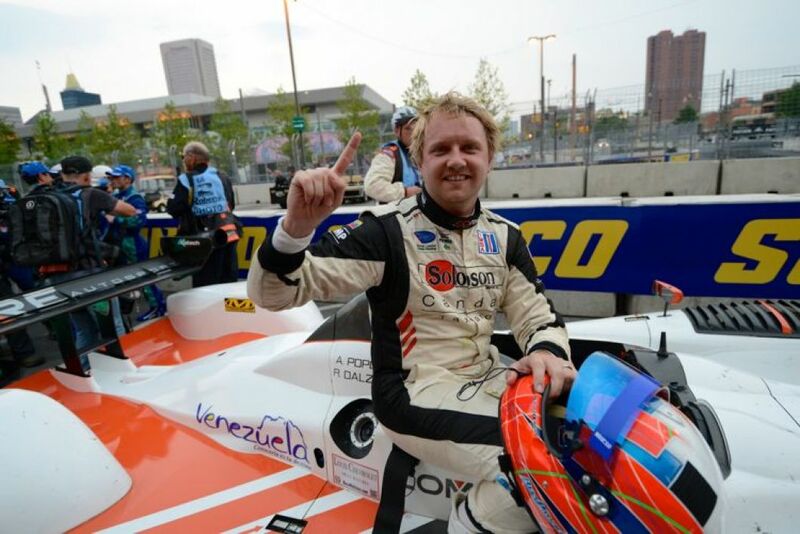 LONG BEACH, Ca: Birthday boy Ryan Dalziel got the perfect present as he and Alex Popow steered the CORE autosport #06 Soloson Import ORECA FLM09 to a LMPC class win in Saturday’s Tequila Patrón American Le Mans Series at Long Beach after starting on pole in California. 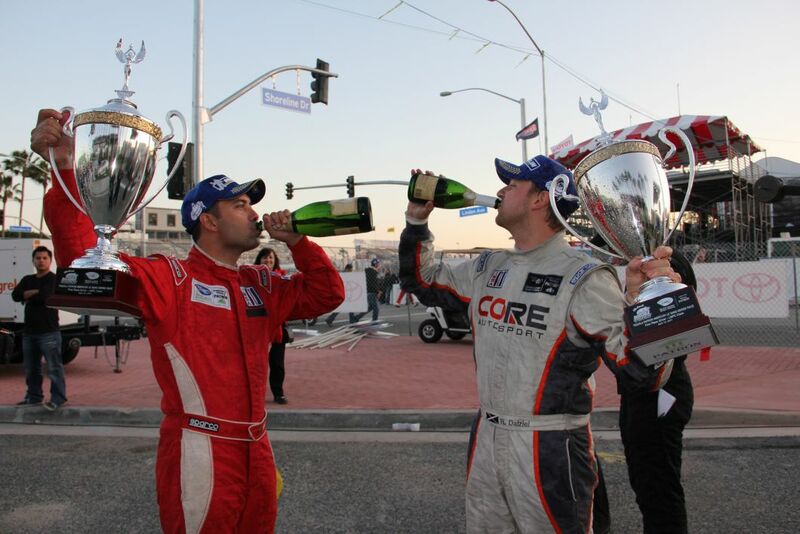 12 Hours of Sebring class winners Ryan Dalziel and CORE autosport will be reunited for the second round of the American Le Mans Series presented by Tequila Patrón on the streets of Long Beach. This event marks the tenth anniversary of Dalziel’s U.S. racing debut in the U.S. – his first was at Long Beach in 2002, driving a Toyota Atlantic Championship machine. On-form Ryan Dalziel produced a battling display against the odds to go top of the Grand-Am Rolex Sports Cars Series standings after a hard-fought fourth place in the Porsche 250 at Barber in Alabama. Ryan Dalziel produced one of the gutsiest drives of his career to beat the odds - and the opposition – and get his FIA World Endurance Championship campaign off to a flying start with a stunning third place overall and an LMP2 class win in the 60th Mobil 1 Twelve Hours of Sebring fuelled by Fresh From Florida. THE PLOT: In-form Ryan Dalziel is hoping to turn a brilliant start to the 2012 season into a dream world at Sebring this weekend. The 29-year-old from Windermere in Florida will make his debut in the FIA World Endurance Championship with Fort Lauderdale-based Starworks Motorsport in the Honda Performance Development LMP2 car alongside Venezuelan ace Enzo Potolicchio and French star Stephane Sarrazin. 2010 Rolex Daytona 24 winner Ryan Dalziel is hoping to keep perfect time this weekend and get his hands on a second Rolex winner’s watch. The Orlando-based Starworks Motorsport ace, originally from Lanarkshire in Scotland, will team up with Venezuelans Enzo Potolicchio and Alex Popow, double Le Mans winner Allan McNish and current FIA GT1 world champion Lucas Luhr in the #8 Ford-Riley. Ryan Dalziel turned up the heat in Abu Dhabi to help United Autosports grabbing a stunning third place in the inaugural Gulf 12 Hours at the Yas Marina. The Orlando-based star, who is a front-runner in the Grand-Am Rolex Sports Car series, produced a dynamic drive to power the Audi R8 LMS to third place in qualifying, then kept the Leeds-based team in the hunt for glory with a powerful display behind the wheel. 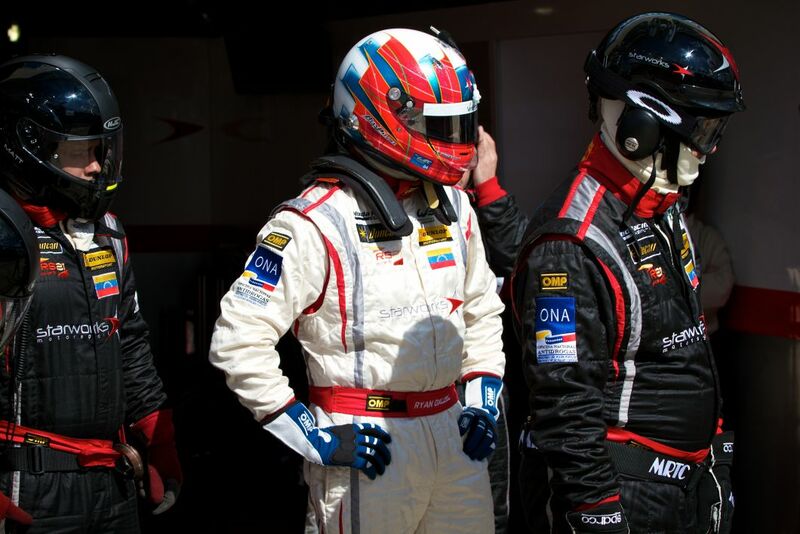 Ryan Dalziel is planning to turn up the heat on his Grand-Am rivals with a fast and furious workout in Dubai. The Orlando-based prototype driver will swap his Starworks Motorsport Ford for a United Autosports Audi R8 LMS for the 24-hour showdown in the United Arab Emirates this weekend (January 12-14) and then the Gulf 12 hours of Abu Dhabi (January 20).